Compact system cameras are growing in popularity, with the UK showing around 30% of all interchangeable lens cameras sales coming from the mirrorless market. Speaking at the press launch of the new Olympus OM-D camera, Claudia Baehr, European Product Manager for Olympus gave industry insight into the growing trend for CSCs. Japan is currently leading the way in the uptake of the smaller cameras, with a market share of around 50%. 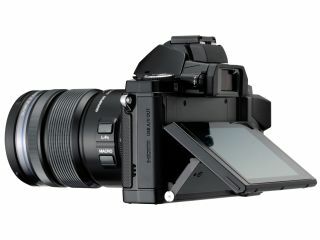 Furthermore, in December 2011, CSCs outsold DSLRs in Japan. According to Baehr, figures show that in Japan and other South East Asian countries, DSLR sales are in decline, while CSCs are rising. However in Europe and the UK, the story is a little different. In Europe, the market for DSLRs is also increasing alongside the growth in CSC sales. It would seem the only area of decline in Europe is in the compact camera market, which dropped by 30% in 2011. Baehr said that the UK was the strongest country in Europe in terms of CSC sales, with around 30% of sales being CSC. The US remains slow in the uptake of the new technologies, currently selling only around 20% of the market. Mark Thackara, National Marketing Manager for Olympus UK, gave an insight into the reason behind different market uptakes, telling us "The British tend to be a bit quicker into the market than other countries, but that is partly to do with quicker distribution channels, we have big stores and chains which all helps." "Meanwhile, the reaction in the States is a bit more mixed - the Americans seem to prefer bigger cameras, such as ultrazooms." There are currently compact system cameras, or variations thereof, on the market from Nikon, Sony, Samsung, Olympus, Panasonic, Fujifilm and Pentax. Of the major manufacturers only Canon is yet to enter the field.